Mortons Media Group, which publishes Old Bike Mart, has renewed its contract with top motorcycle insurance broker Carole Nash. The commitment includes the continued sponsorship of Mortons’ classic motorcycle shows including those at Stafford each April and October. Carole Nash will also have a strong branding presence among Mortons’ extensive publishing portfolio for the next three years. Scenes like these at Stafford have ensured an extension of the partnership between Carole Nash Insurance and Mortons Media Group. 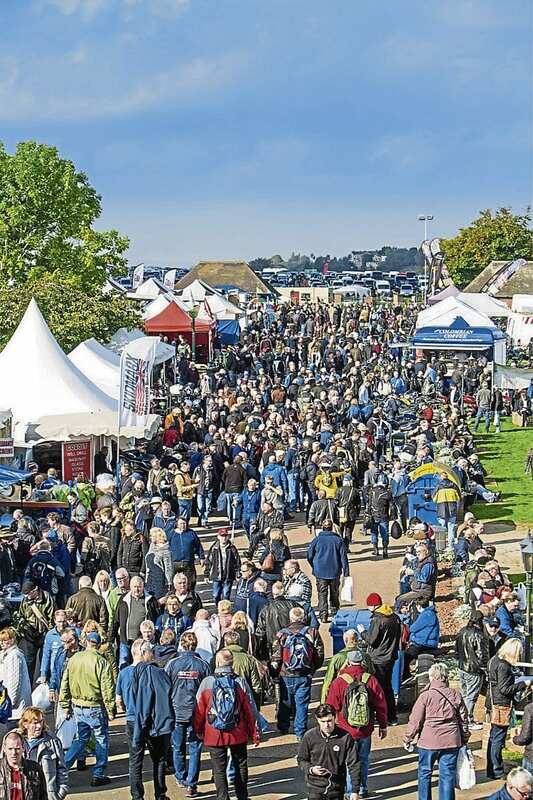 Rebecca Donohue, head of marketing at Carole Nash Insurance, said: “The Classic Motorcycle Shows are among the highlights of our events calendar every year, underpinning our company’s heritage and proud support of the classic motorcycle movement since 1985. “Being at the motorcycle shows allows us to fully entwine ourselves with the biking community and meet our customers face to face. Read more News and Features in the January issue of OBM – on sale now!